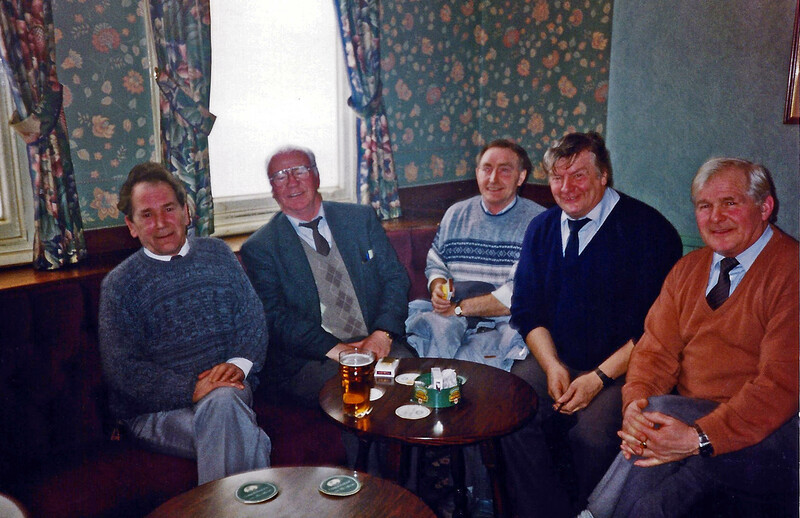 Les Birmingham, Jack O'Meara, Billy Tomlinson, Roy Atkinson and Arthur Fitszimmons. This was at their retirement farewell on 6 March 1991. Thanks to Ted Bostock who was with them at the foreman's retirement "do".